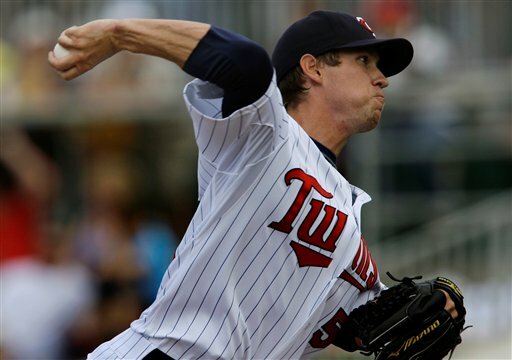 Are the Twins Trying To Play Moneyball With Their Pitching Staff? The Minnesota Twins have had an odd offseason to say the least. First, they trade away J.J. Hardy for relievers Jim Hoey (34.1 Major League innings and a 5.15 FIP) and Brett Jacobson (no Major League innings). Then they openly discuss trading Fransisco Liriano. For those of you who do not remember, advanced statistics had Liriano as the third best pitcher in the Majors. Right behind Josh Johnson and Cliff Lee. Fangraphs also had his slider as the best slider in baseball. They then told Nick Blackburn he will be a starter. Nick Blackburn had a 3.8 K/9, and a FIP of 5.09. You could make a case that he was the worst starting pitcher in baseball. All he had working for him was a 50.8% groundball rate. They picked up lefty Scott Diamond from the Atlanta Braves. Diamond is a reliever who has a career 7.3 K/9 in the minors with some control issues. The Twins put Pat Neshek on waivers and he was taken by the Padres. Neshek had an option left. I understand that Pat Neshek had a bad year last year (so did Fransiso Liriano his first year after Tommy John surgery) and not a very good Spring, but it’s Spring Training. He was still striking out a batter an inning and keeping the ball in the park. They drafted Alex Wimmers. Who throws his fastball at 88 MPH. What are the Twins doing with their pitching staff? Especially with the bullpen. Last season, the Twins had a bullpen that was worth 18.8 WAR. Good for 6th in the league. Who was better? The White Sox, Rockies, Giants, Braves, and Red Sox. Now, they have blown up the bullpen. What about the rotation? 5th in the leauge in WAR at 15.8. Who’s in front of them? Rockies, Red Sox, White Sox, Cardinals. Now, they have discussed trading 2/5th of that rotation. The move to the bullpen will keep Slowey's innings down, and presumably keep him off the disabled list. 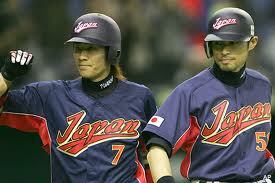 Or have the Twins heard of the Rule of 17? And do they think that the Rule of 17 would be most beneficial to Kevin Slowey? For those of you who don’t know, the Rule of 17 is the theory that when a starer transitions to the bullpen, his K/9 will increase, his BABIP will decrease, and his HR/9 will decrease. All by about 17%. So, in the case of Kevin Slowey, his K/9 will rise to 8.1, his HR/9 will fall to 1.2, and his BABIP will fall to .290. Most ERAs fall by about a run. The move to the bullpen will keep Slowey’s innings down, and presumably keep him off the disabled list. And with the limited free passes he’s issued, and the increased K/9 we can reasonably expect, Kevin Slowey will be one of the more dominant middle relievers in the American League. Maybe the Twins know what they’re doing with their pitching staff. The trades for Matt Capps, Brian Fuentes, Ron Mahay, and Jon Rauch all worked out pretty well for Bill Smith and company, but it seems that they have been going after every middling Minor League reliever they can acquire, and drafting hordes of Brad Radke clones in the last few years. Every move they’ve made involving pitching has me worried. Except for Slowey to the pen. That is assuming that they don’t trade him for someone like Joba Chamberlain. Was Jim Thome The Best Off-Season Signing? 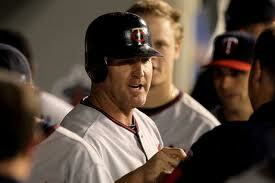 In the Twin Cities, Jim Thome has been awarded nicknames. Jimmers. Jim Jam. Tater Masher Extraordinaire. Twins fans have made a Twitter account for him. You can find it @FakeJimThome. 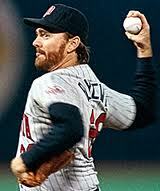 He gets teased there, and on most Twins blogs, but, Twins fans have learned to love this man. 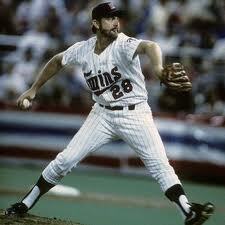 It’s always nice to see a Twins Killer become a Minnesota Twin. The White Sox paid $13 MM for his services last year. 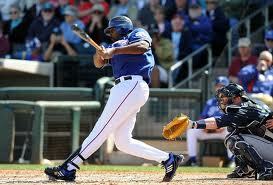 Last season, just after the trade deadline, the Chicago White Sox sent Thome to the Los Angeles Dodgers. Thome hit 23 home runs for the South Siders, and was a fan favorite. With Los Angeles, Thome had 4 hits in 17 at bats. All singles. No walks. He owned a very tidy line of .235/.235/.235. 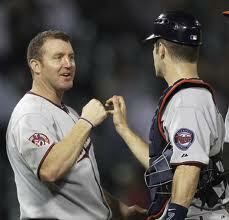 Jim Thome wanted to hit in the same lineup with MVPs Joe Mauer and Justin Morneau. Chicago. White Sox General Manager Kenny Williams and manager Ozzie Guillen didn’t want him. They didn’t appreciate his inability to do anything other than hit. They decided to go with Andruw Jones and Mark Kotsay, both of whom can field, somewhat. So what did Jim Thome do?. The rival Twins wanted to sign Jim Thome. 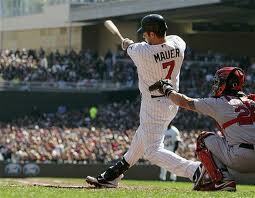 And Jim Thome wanted to hit in the same lineup with MVPs Joe Mauer and Justin Morneau. The only thing that stood in the way was the cash. The Twins got Thome to sign for $1.5 MM. For Twins fans, it seemed too good to be true. Thome coming off the bench. A bench that last year included Brian Buscher, Mike Redmond, and Brendan Harris. Even if he rarely played, having a future Hall of Famer coming off the bench is the move of a big budget, East Coast team, rather than a small, one and done in the playoffs team. He was to be used when regular designated hitter Jason Kubel played in the outfield, to either rest Delmon Young, Michael Cuddyer, or when Cuddyer would play first base to rest perennial All-Star, Justin Morneau. The Twins are not stupid. They know the numbers. They know that Jim Thome hits home runs against them, and they know Jim Thome has to play in the American League due to his allergy to leather. But Thome’s effect has been more than just on field excellence. He’s worked with Morneau, and helped him alter his swing. How did Morneau respond? By hitting .345 with 18 home runs, and he was well on his way to his second MVP award, before he went down with a concussion in Toronto on July 7th. But, the big question, as always, was it worth it? The answer to that is a resounding “yes”. So far, in 314 plate apperances, Thome has hit a team leading 23 home runs, and hit .277/.406./631! He’s posted an ISO of .353. The highest mark from a Minnesota Twin since Hall of Famer Harmon Killibrew posted an ISO of .318 in Minnesota’s inaugural season. 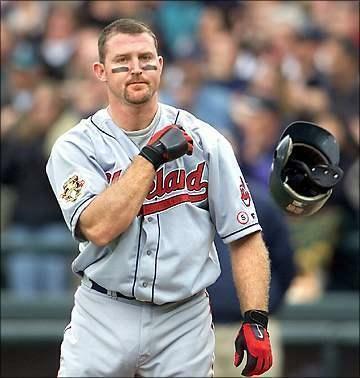 Anyway you look at it, home runs, ISO, WAR, and whatever statistic you can think of, Jim Thome has earned his paycheck. At $1.5MM, Thome has earned $65,217.38 per home run. He’s been worth 3.3 WAR so far, earning $454,545.45 per WAR. He’s been a player, and a coach. It’s been a fun ride, and the Twins would do well to sign him again, if the price is right. been the best acquisition the Twins have made in a long time. And I can tell you from watching every Jim Thome plate appearance in a Twins uniform, this has to be the best free agent acquisition in baseball from last offseason. He’s been a player, and a coach. It’s been a fun ride, and the Twins would do well to sign him again, if the price is right. What do Adrian Beltre, Kevin Youkillis, and Andruw Jones have in common? Two things. They’re all right handed hitters, and they are the only hitters to take Fransisco Liriano out of the yard in 2010. And supressing power from the lefties isn’t the only thing Frankie’s been able to do. He’s been striking out more than a batter an inning, and out of the beastly number of batters faced (666) he’s given up 149 hits, which means that out of every 5 batters he faces, only one gets a hit. And out of those 666 batters faced, only 51 have gotten a free pass. Has he been a little wild? Yes, he has. 9 wild pitches, and 8 hits batsmen. He has been among the best starters in baseball, if not the best starter. In terms of WAR, the one Twins fans call “The Franchise” has put up 5.8. Which puts him behind Roy Halladay (6.4) and Cliff Lee (6.0). 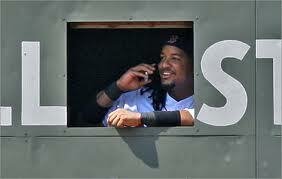 He’s leading all of baseball in FIP (2.31) and xFIP (3.01). Name a starter. Any starter, and Liriano has pitched better than them. Now, how has he done it? Liriano is having the best year of his career, and it's coming the year after being one of the worst pitchers in the game. The biggest thing, he has kept the ball in the park. He keeps everything very, very simple. Fastball, slider, change-up, and a very rare cutter. He’s found his velocity. His fastball averages 93 MPH, his slider at 86, and his change up at 86. But the biggest thing he’s doing, is he is getting hitters to swing at his stuff. They are swinging at his pitches 47.7% of the time, and making contact on what they swing at 73.2% of the time. And more than half of those pitches are on the ground, and when you have an elite defensive middle infield behind you like JJ Hardy at shortstop (UZR/150 of 19.7) and Orlando Hudson (8.8 UZR) nearly all of those will be turned into outs. But, the groundballs aren’t even the best part of Liriano. 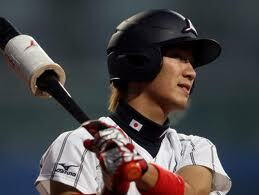 He’s leading baseball at in SwStr% (swinging strikes). Liriano is having the best year of his career, and it’s coming the year after being one of the worst pitchers in the game. He’s not trying to strike everybody out, the strikeouts are just coming. He’s letting batters hit balls on the ground and is letting his defense gobble them up for him. When Stephen Strasburg comes back from Tommy John surgery, he’d do well to pay attention to Fransisco Liriano’s 2010 season.